SPECIAL OFFER! 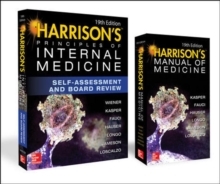 SAVE WHEN YOU PURCHASE HARRISON'S PRINCIPLES OF INTERNAL MEDICINE, 19e ALONG WITH THE COMPANION HARRISON'S MANUAL!This dollar-saving Harrison's bundle includes these two great resources: Harrison's Principles of Internal Medicine, Nineteenth EditionThrough six decades, no resource has matched the authority, esteemed scholarship, and scientific rigor of Harrison's Principles of Internal Medicine. 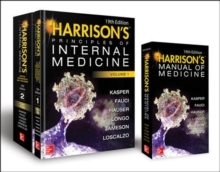 Capturing the countless advances and developments across the full span of medicine, the 19th edition of Harrison's provides a complete update of essential content related to disease pathogenesis, clinical trials, current diagnostic methods and imaging approaches, evidence-based practice guidelines, and established and newly approved treatment methods. Here are just a few of the outstanding features of the Nineteenth Edition:*Presented in two volumes: Volume 1 is devoted to foundational principles, cardinal manifestations of disease and approach to differential diagnosis; Volume 2 covers disease pathogenesis and treatment*NEW chapters on important topics such as Men's Health, The Impact of Global Warming on Infectious Diseases, Fatigue, and many more*Critical updates in management and therapeutics in Hepatitis, Coronary Artery Disease, Ebola Virus Disease, Multiple Sclerosis, Diabetes, Hypertension, Deep Vein Thrombosis and Pulmonary Embolism, Acute and Chronic Kidney Disease, Inflammatory Bowel Disease, Lipoprotein Disorders, HIV and AIDS, and more. 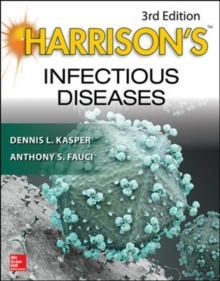 *Increased number of the popular Harrison's clinical algorithms; clinically relevant radiographic examples spanning hundreds of diseases; clinical-pathological images in full color; crystal clear, full color drawings and illustrations and helpful tables and summary lists that make clinical application of the content faster than ever*Access to outstanding multi-media resources including practical videos demonstrating essential bedside procedures, physical examination techniques, endoscopic findings, cardiovascular findings, and moreThe package also includes..... Harrison's Manual of Medicine, Nineteenth Edition Harrison's Manual of Medicine is a concise, bedside resource derived from content found in Harrison's Principles of Internal Medicine, Nineteenth Edition. Perfect for use at the point of care, the Manual presents clinical information covering key aspects of the diagnosis, clinical manifestations, and treatment of the major diseases that are likely to be encountered in medical practice.